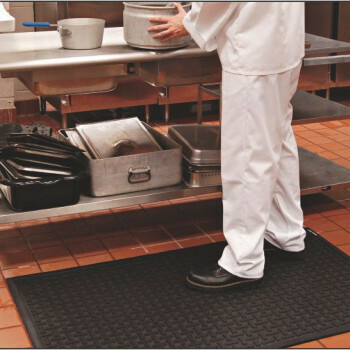 Stand-Ease – 3/8″ Nitrile Rubber Kitchen Mat is a comfortable anti-fatigue mat with added holes for drainage. 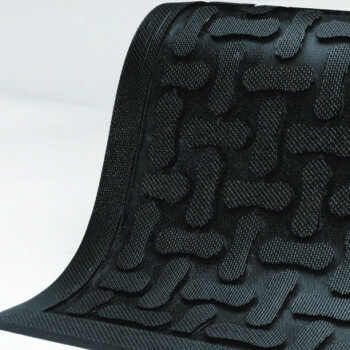 This mat is Certified Anti-Slip by NFSI. Stand-Ease is a lightweight mat grease and oil resistant. 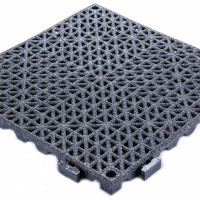 Additionally, this anti-fatigue kitchen mat is welding safe and static dissipative. 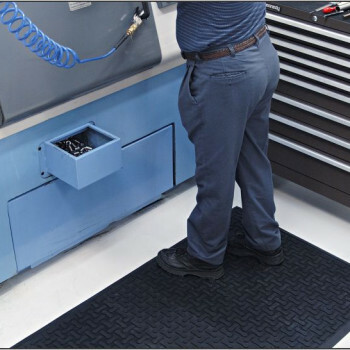 Each mat has been anti-microbial treat minimize odor build-up and mat breakdown. Stand-Ease has excellent anti-fatigue properties for added employee comfort and improved ergonomics, improving employee morale and productivity. 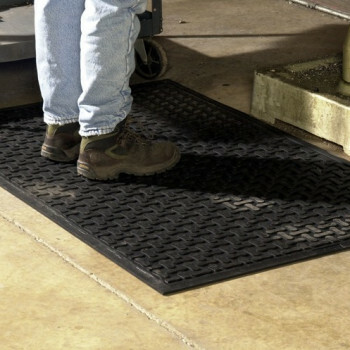 This mat excels in commercial kitchens, behind bars, and more. 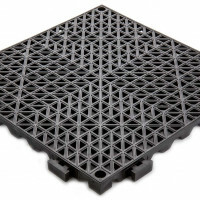 Choose Stand-Ease for a lightweight, easy to maintain rubber anti-fatigue kitchen mat, with great anti-fatigue and ergonomic properties. 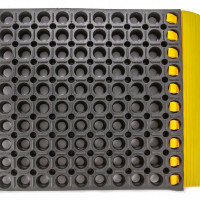 For an even heavier rubber anti-fatigue kitchen mat consider the Thru-Tread – 7/8″ Rubber Kitchen Mat.